Through a bequest from her IRA, Cynthia Rosedale established this unrestricted endowment to support PCF’s local grant making in the community she loved. Born and raised in the Pasadena area, she graduated from Westridge School for Girls and the University of California-Berkeley. 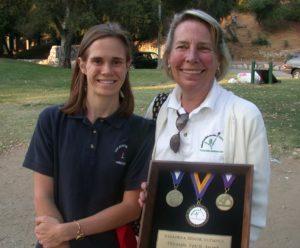 She returned to Pasadena where she raised her daughter, Katie Enney, also a Westridge graduate, and enjoyed time with her two grandchildren. Cynthia devoted her life to helping seniors. In 1986, she was asked to serve on the board of the Pasadena Senior Center; she happily agreed and six years later was hired as a staff member where she worked until her death in 2016.